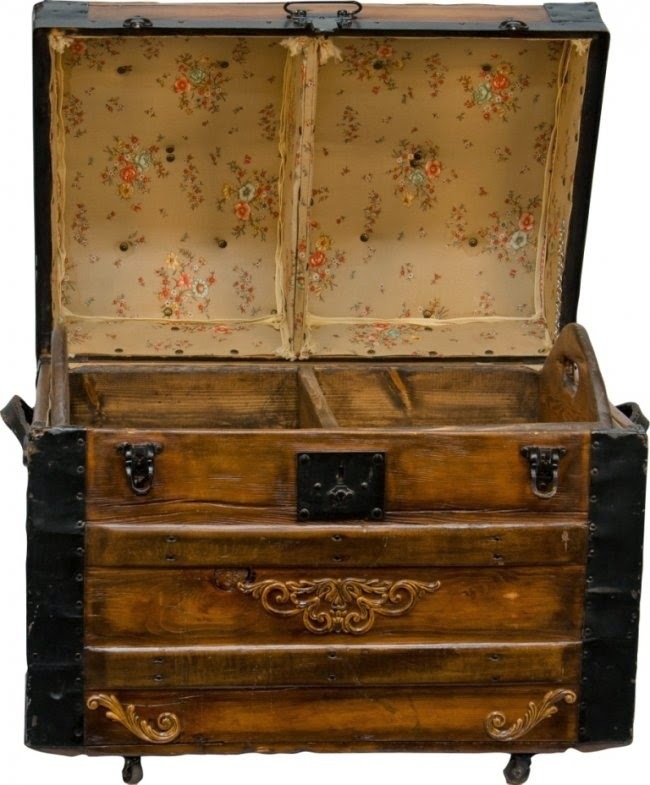 When I was a teen-ager, I found a steamer trunk in my Nana's attic filled with oodles of vintage clothing. I was strangely at home in my relatives' polyester, bell-bottom and neon-colored cast-offs. Wearing second-hand clothing was an obsession that stayed with me throughout my teens and even my 20s; However, somewhere in my early 30s, I refined and redefined my definition of vintage. I no longer looked like I was dressed for Halloween but investing in vintage pieces that had value and staying power. Today, I still love buying vintage and second-hand but, what is most important to me is to promote the sustainable consumption of clothing. The tendency to buy disposable garments -- items that are on trend this season but out by the next -- is the norm. I do it myself most of the time, but I do try to donate my clothes once I am done with them. Yet, most of the time, these articles of clothing are just tossed in the trash and it is a worldwide problem. The simplest and most sustainable way to give garments a longer life span is to provide them with a second life and a new owner. My “Fashion Exchange” Girls Party is an idea I've had for years now, but I wasn't really sure how to bring it to fruition until I heard about the Global Fashion Exchange (GFX). A Copenhagen-founded clothing swap market traveling from city-to-city around the world to empower consumers to take actions for a better environment and renew their wardrobes. I want to create an opportunity to give our NOT so favorite pieces (clothing/shoes/accessories/handbags) a second life. I may love something you have grown tired of and vice versa. The concept is to bring a minimum of one clean, gently used garment which will be grouped with other like items. Based on its value, the item will be given a point assessment and will go into the common pool of clothing with like items and, in exchange, you will be able to select any garments in the same group. In addition, I think it also offers a wonderful opportunity to give back to the community. I will parlay the event into a clothing drive for the 1736 Family Crises Center, a non-profit shelter and outpatient services for domestic violence survivors, runaway and homeless youth, homeless families unemployed adults and youth, and low-income persons. I think this event is a win-win for everyone and a good excuse to start the New Year off rehabbing our closets for some fun and a good cause.